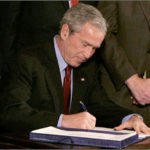 On October 7, 2008, President Bush signed into law the Fostering Connection to Success and Increasing Adoptions Act (H.R. 6893/P.L. 110-351). The law provides federal Title IV-E funds (federal money allotted to match state child welfare services) to states to support foster youth through age 21. Prior to enactment of this law, virtually all states cut off foster care services at age 18 as federal financial participation was unavailable past this age. Since 2008, 26 states and the District of Columbia have, or are in the process of, extending supports to foster youth through age 21. We must provide Ohio’s young adults in foster care with what they need to succeed as adults. 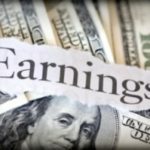 Otherwise, society will pay the greater cost later on if these youth are forced to leave foster care at age 18 without a high school diploma, connections to their families and communities, or the support they need to succeed as adults. Studies show that in states that extend support for foster youth through age 21, youth who remained in care to 21 fare far better than those who leave care at 18. Young women remaining in care experienced a 38% reduction in the incidence of pregnancy before age 20;. Ohio has the great opportunity to learn from 26 other states on how to successfully extend support to foster youth through age 21. Ohio Fostering Connections is organizing Ohio’s planning efforts so that our approach can be successful, effective, and meaningful to our young adults transitioning out of foster care.